Kindred SS wire bottom grid - 14-1/4 X 8-1/4" X 1"
Kraus Bottom Grid is an ideal addition to your kitchen sink. Durable grid protects your kitchen sink against scratches from general daily use. Bottom Grid is constructed from polished T-304 stainless steel. Wessan by Novanni Stainless Inc. has proudly been manufacturing sinks and sink accessories for over 50 years. Our lineup of sink accessories help to transform your sink space into an all-in-one utility station. Oliveri is an Australian sink manufacturer that has been designing and engineering sinks and sink accessories in Southern Australia since 1948. Offering high-end products with unique looks and designs, Oliveri sinks are manufactured from genuine 18/10, 304 grade stainless steel, for optimum hygiene and durability. 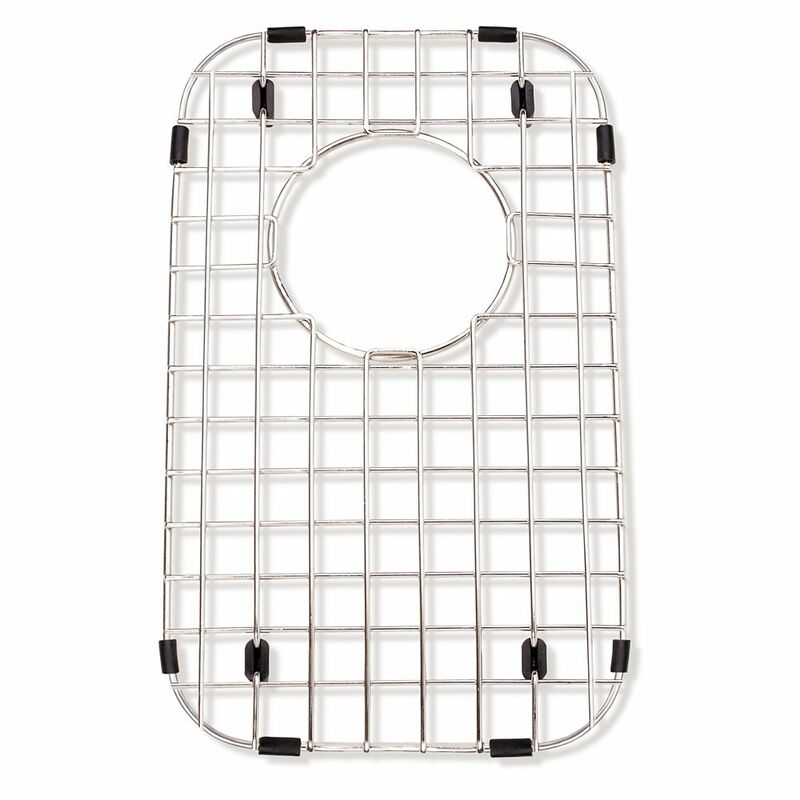 SS wire bottom grid - 14-1/4 X 8-1/4" X 1" Stainless steel bottom grid to protect sink bowl from scratches. Includes rubber feet, side bumpers, and hole for access to sink waste hole. Dishwasher safe and heat resistant.